Tyre's Covenant Of Brotherhood [ The United States Constitution ] is found in Amos 1:9-10. 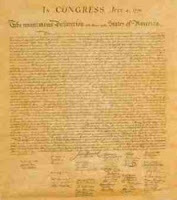 | America In Prophecy America In Prophecy: Tyre's Covenant Of Brotherhood [ The United States Constitution ] is found in Amos 1:9-10. Tyre's Covenant Of Brotherhood [ The United States Constitution ] is found in Amos 1:9-10. In The Book of Amos, the prophet, we can read a very short snippet of text regarding ' The Proclamation Against Tyre [ The States of New England, and by extension America itself ] '; and it provides the final two of four stated reasons for Yahweh's Impending Judgment. Meanwhile, however, the first two reasons can be found in The Book of Joel chapter 3. In this particular posting, we shall be considering both of these books; and the two entirely different prophets who wrote them. For three transgressions of Tyre [their own personal sins ], and for four [ because of what Edom has done ], I will not turn away its punishment [ which, I have planned against them ], Because they delivered up the whole captivity to Edom [ rather than: shielding, or hiding them ], And did not remember The Covenant Of Brotherhood [ made by their forefathers ]. But I will send A Fire upon the wall of Tyre, Which shall devour its palaces. " - Amos 1:9-10. For those who honestly believe that: The German People and Numerous Other Europeans - shouldn't have been held responsible [ or accountable ] for what The NAZI's did - since it might have caused them undue hardship, or even the loss of life - this short scriptural passage in Amos Chapter 1 boldly declares otherwise! Yahweh shall hold everyone accountable for both: Their Own Actions, and Even Their In-actions, with respect towards their neighbors... and mentioned here is the classic example. 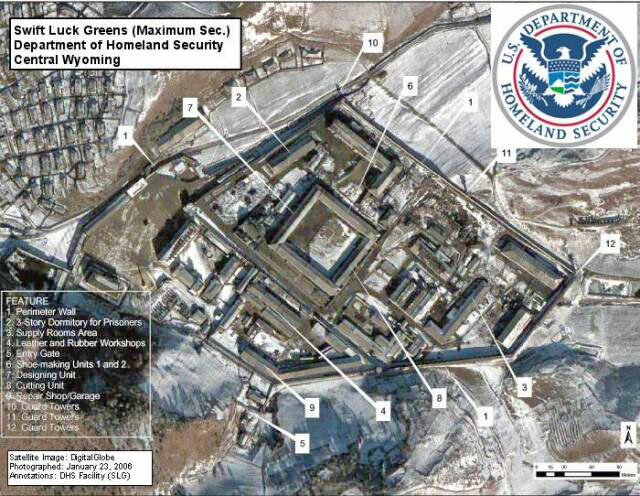 One of many American FEMA Camps. The Nation of Tyre [ The States of New England ] are going to hand their own Christian [ Israelite ] and Jewish Populations over to Edom [ America's Heartland and Centralized Government ] - where many of them shall go to their own death. 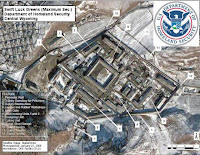 After all, whom do you honestly think, that those FEMA Camps were built for? Thus, New England shall be struck by ' The Full Forces ' very soon to be unleashed by The Mighty One. That's what Amos meant, when he stated: " Because they delivered up the whole captivity to Edom ". Remember, Amos [ the prophet ] was ' A Shepherd ' before Yahweh elevated him to be His Own Watchman. He fully understood his responsibilities towards: " The Sheep " - that were being placed within his care... and The Universal Principles which apply to all of the lesser beasts, apply even more so to our own fellow humans! Consequently, Amos was an excellent choice for providing this particular ' End Times Message '. The American 'Covenant of Brotherhood'. But, what of that: " Covenant Of Brotherhood " - that Tyre [ The States of New England ] have broken? To what, can it possibly [ or conceivably ] refer? 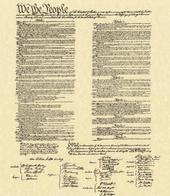 America [ The Wilderness of Canaan ] was founded upon The Three Covenants of: Freedom, Equality, and Brotherhood - as enshrined in all of its own foundational documents... and, while The First Two have already been broken, The Last One still remains for the moment... but, very soon, it too shall be broken!
" For Behold [ Pay Attention ], in those days and At That Time [ Those Days Of Judgment ], When I bring back The Captives Of Judah [ My Jewish Remnant ] and Jerusalem [ My True Israelite People ]. I will also gather All Nations [ The Armies Of The Gentiles ], And bring them down to The Valley Of Jehoshaphat [ The Valley Of Yahweh's Judgment ]; And I will enter into judgment with them there [ In The Valley Of Decision ] On account of My People [ Those Who Serve Me ] My heritage Israel [ whether: Israelite, Judahite, or Benjamite ], Whom they have scattered among the nations [ To Cause My Disruption ]; They have also divided up My land [ The Promised Nation Of Zion ]. They have cast lots for My People [ Dividing Them Up As Their Own Spoil ], Have given a boy in exchange for A Harlot [ Spiritual Babylon ], And sold a girl For Wine [ Her False Teachings ], that they May Drink [ Becoming Drunk, At Expense Of Their Own Blood ]. Because you have taken My Silver [ The Israelite People ] and My Gold [ Judah, My Own Priesthood ], And have carried into Your Temples [ Spiritual Babylon ] My Prized Possessions [ The Yahhudiim, Which Are Called By My Name ]. Also The People Of Judah [ Whom You Call Jews ] and The People Of Jerusalem [ The Entire House Of Israel ] You have sold to The Greeks [ The Other Nations Around Them ], That you may remove them far from their borders [ Where I, Myself, Have Purposefully Established Them ]. Behold, I will raise them [ Bring Them Back To My Promised Land ] Out of the place to which you have sold them [ Babylon, Canaan, and Egypt ], And will return your retaliation [ For Which You Have Done This ] upon your own head [ At That Foreordained Time ]. I will sell Your Sons and Your Daughters [ Those Whom You Love ] Into the hand of The People Of Judah [ My Own Royal Priesthood ], And they will sell them to The Sabeans [ The Descendants Of Sheba ], To a people far off [ Thus, Removing Them From Your Own Borders ]; For The Mighty One has spoken [ Be Assured, It Will Happen ]. " - Joel 3:1-8. 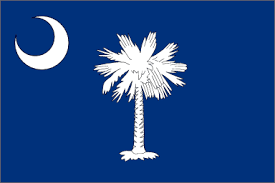 While The Latter Day Descendants of Ancient Tyre [ The States of New England ] were living under The Covenants of: Freedom, Equality, and Brotherhood - the sentence having been pronounced upon their ancestors was suspended, under Yahweh's Terms of Spiritual Repentance. However, by breaking All Three Of These Covenants, they have once again inherited their own Ancestor's Past Judgments... in addition to what they [ themselves ] are now doing! Thus, they shall be judged for: " Four Transgressions Against Yahweh ". 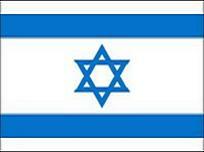 Turning Israel and Judah Against Yahweh. Removing Them From His Promised Land. Allowing Edom [ America's National Government ] To Murder Them. And Breaking The Covenant Established Before Yahweh. While All The Tribes [ or Nations ] Of Canaan [ The North American Wilderness ] are subject to the terms of The United States Constitution [ through Ancestral and Political Inheritance ], the only Two Signatory Nations were: Tyre [ New England ] and Israel [ The States Of The Bible Belt ]. 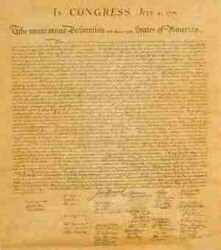 These were The Original Thirteen Colonies - who actually established ' The Social Contract '. Consequently, The Nation Of Tyre [ The Tribe Within New England ] is commonly referred to as: " Canaan's True Head " - while The Capital Of Canaan is actually within Edom [ which is America's Heartland ].